The 2012 Great Kinder Beer Barrel Challenge was another exciting event with glorious sunshine and 8 enthusiastic (at least at the start…) and committed teams. 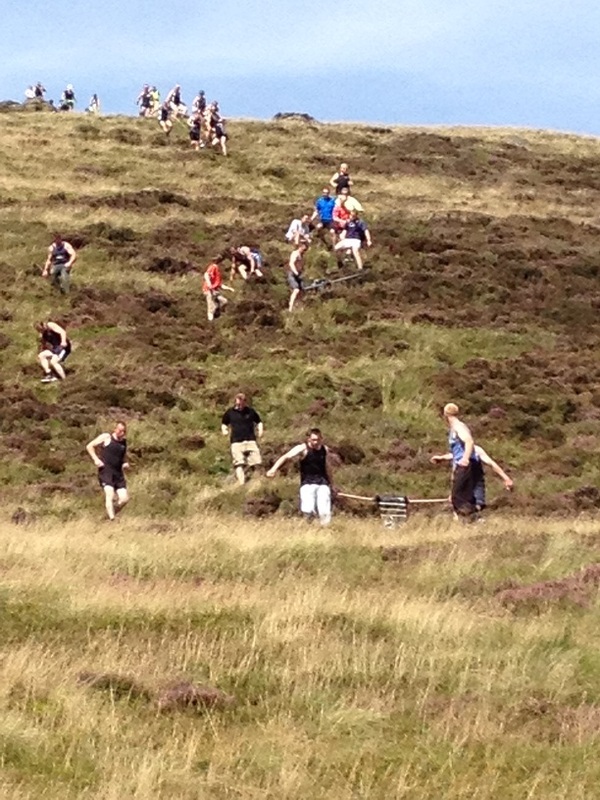 After being narrowly beaten by Gladioli in 2011, Dark Peak returned with renewed determination (and some of the best Fell runners in the country) and managed to top the field with a time of 47:08. Gladioli were a clear second place with a time of 50:42. A steady improvement from Fat Boys Revenge saw them secure third place in 52.59. First local team was Should Noe Better (the team formerly known as Fieldhead) in 58.04. A big congratulations to the first (and only) ladies team Edale Ladies who not only managed to get the barrel over Kinder in 1:45.32 but did it in style… and luminous green tutus! 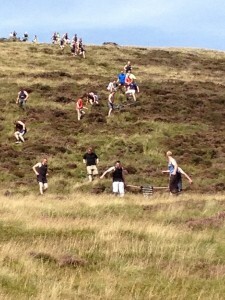 Check out the results and photos pages for the 2012 event. Many thanks to the competitors, the spectators, the organisers, all those who helped out and a massive thanks to our two great sponsors Bradfield Brewery and Peak Ales who’s support makes this event possible.